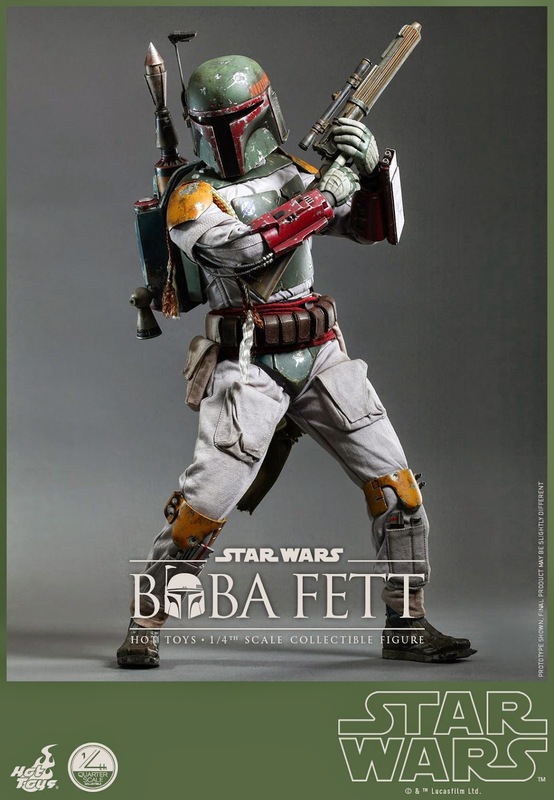 UPDATE - 12/17/2014 - PRICE AND RELEASE DATE INFO POSTED BELOW! 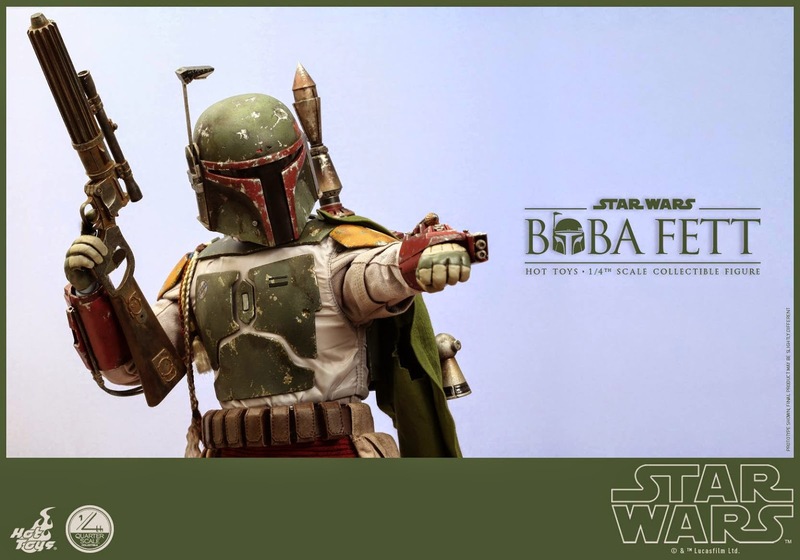 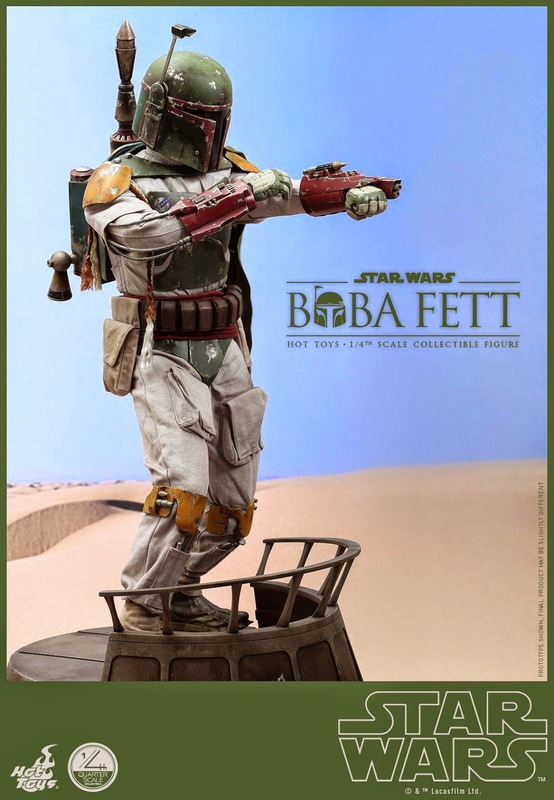 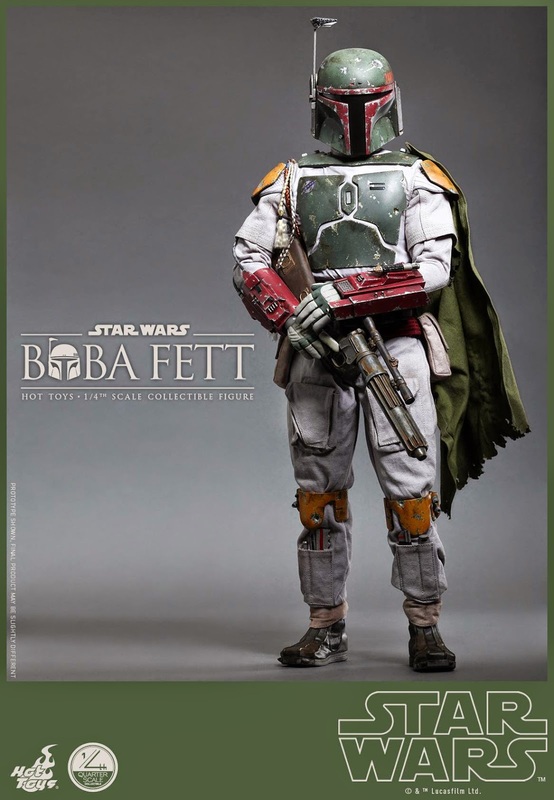 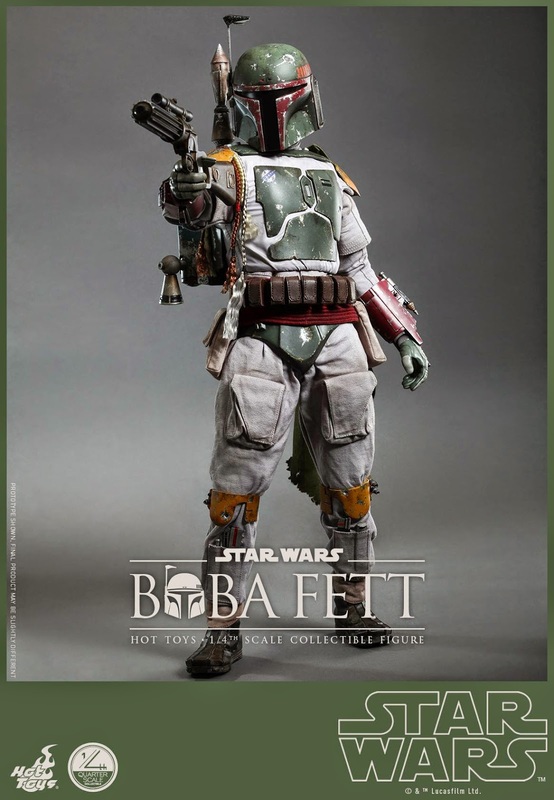 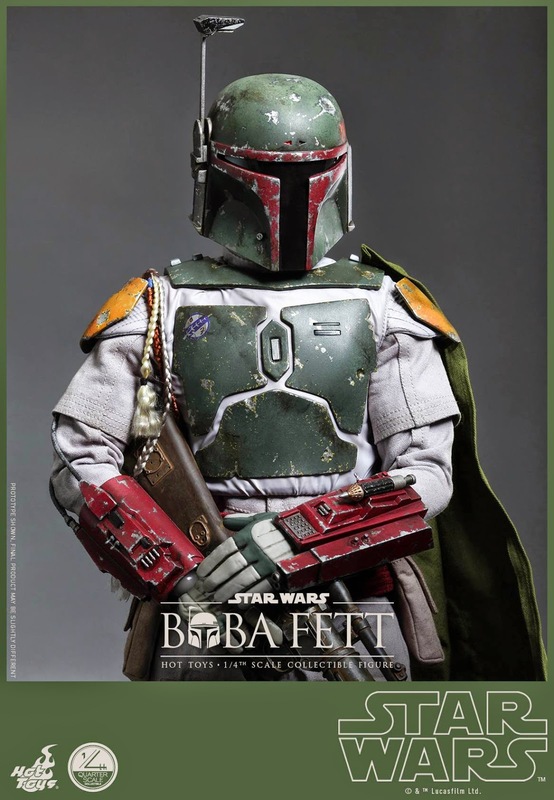 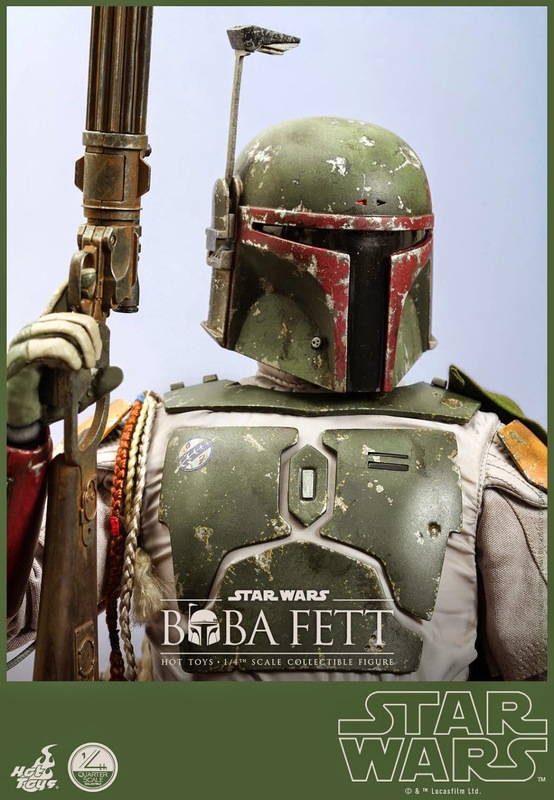 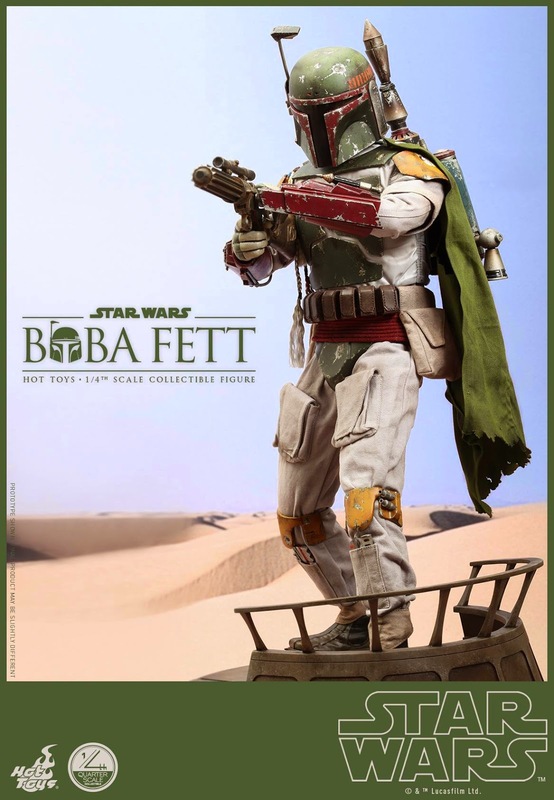 I've got four words for you-- Hot Toys Boba Fett. 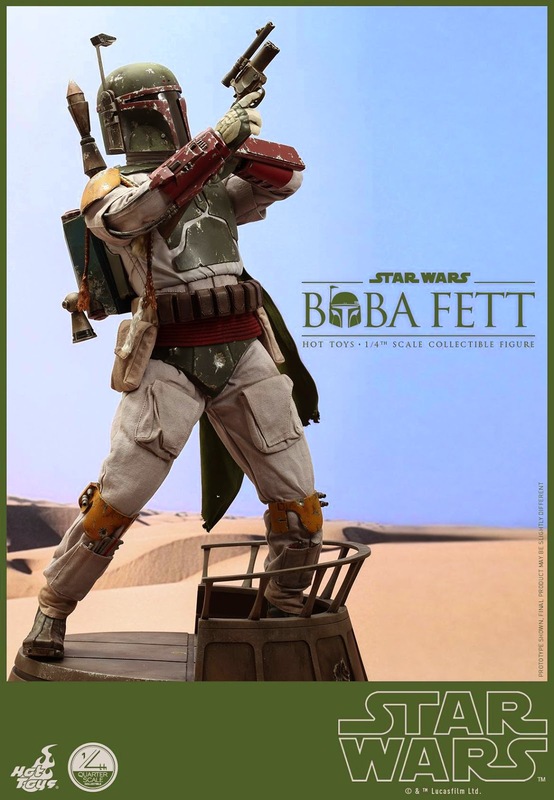 But this is no ordinary Boba Fett-- and by ordinary I mean 12"-- no, this is a massive, beautifully detailed 24" ultra deluxe Boba Fett. 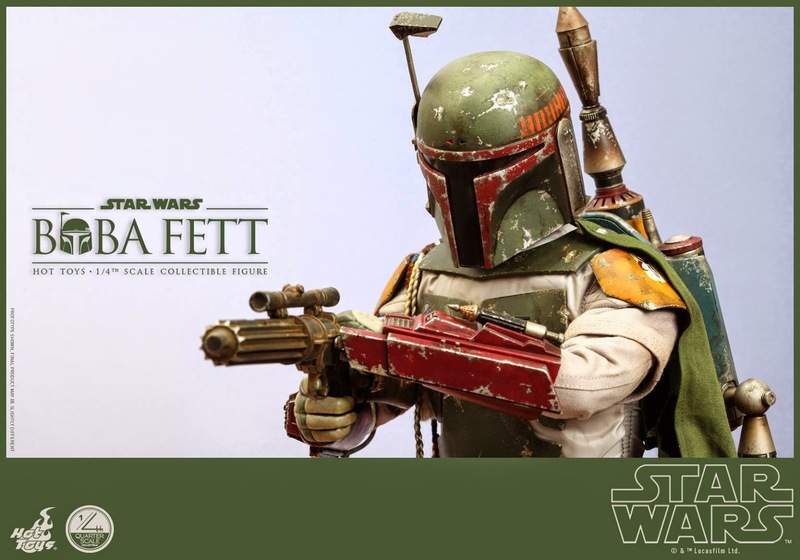 And, for those of you who might bemoan the fact that Hot Toys elected to do a 1/4 scale version of Fett, I'm sure that we'll also be seeing the usual 1/6 version at some point in the future. 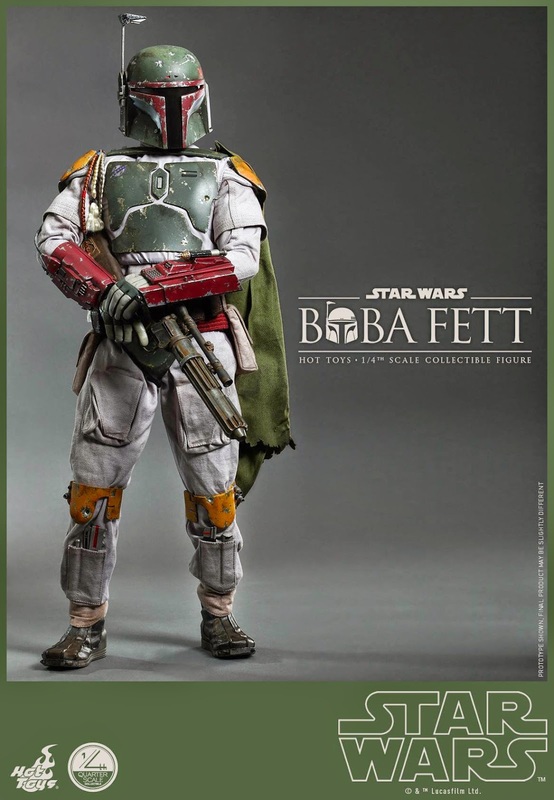 The only two Star Wars characters that Hot Toys could have produced that would have made me make that jump into 1/4 scale is Darth Vader and Boba Fett. 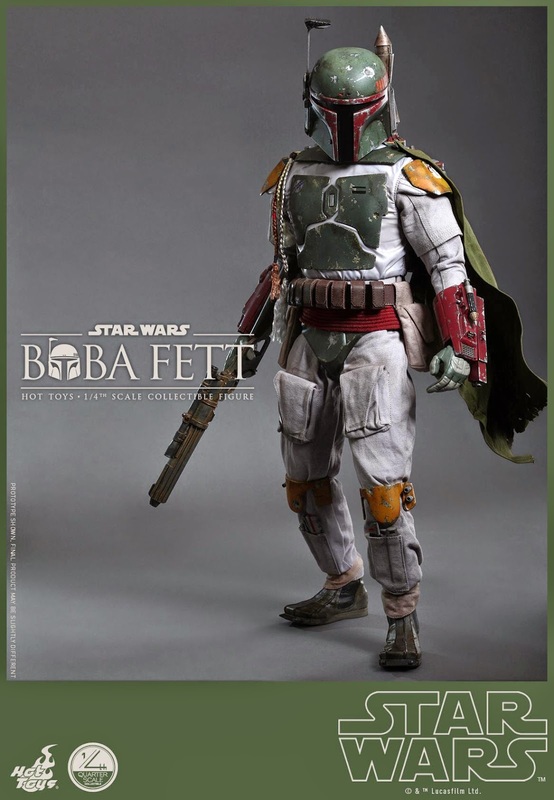 Well, looks like I'm going to have to buy it now! 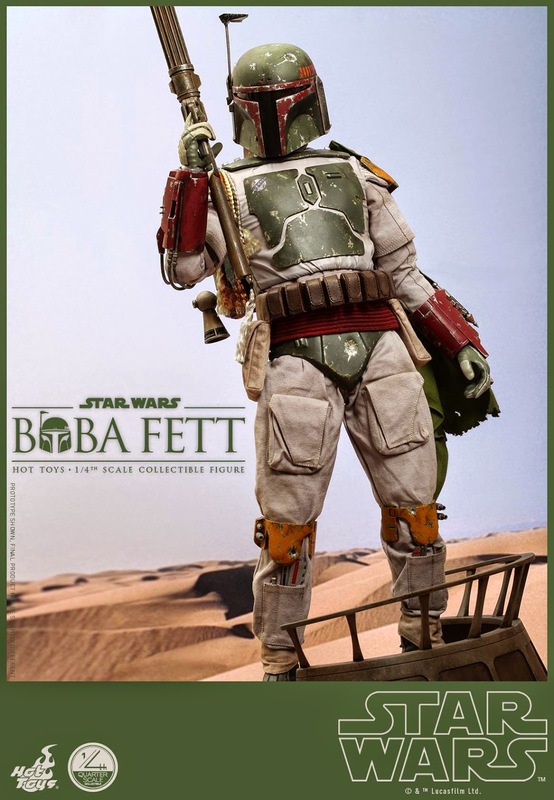 After all, I made a deal with myself, so I gotta stay true to my word, right? 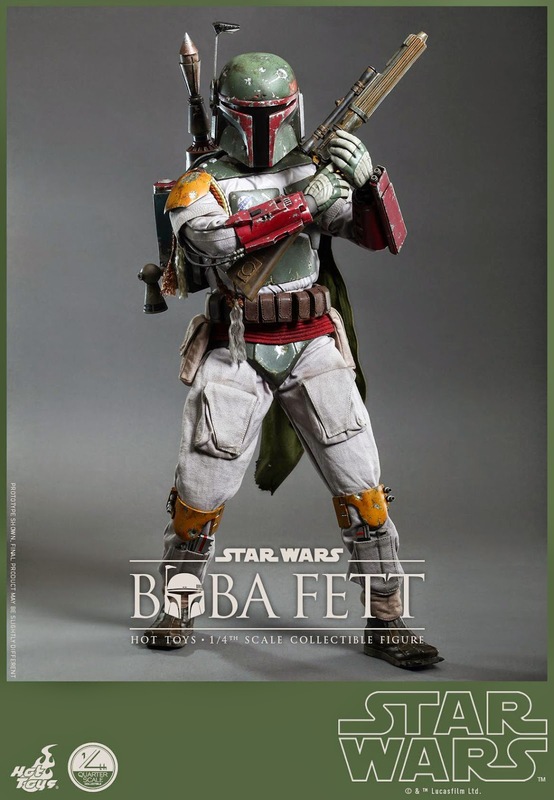 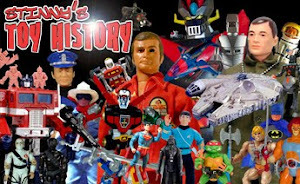 But really, just look at this figure... Look at how truly awesome it is. 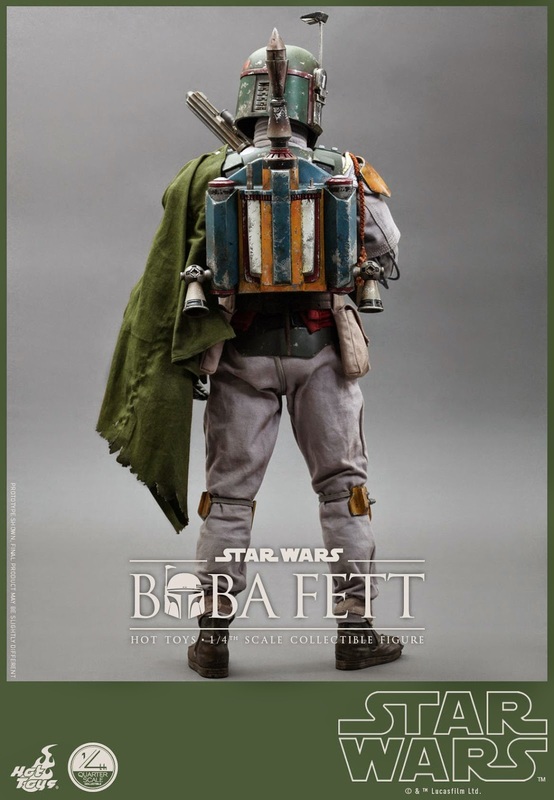 Just the jet pack alone is a complete work of art! 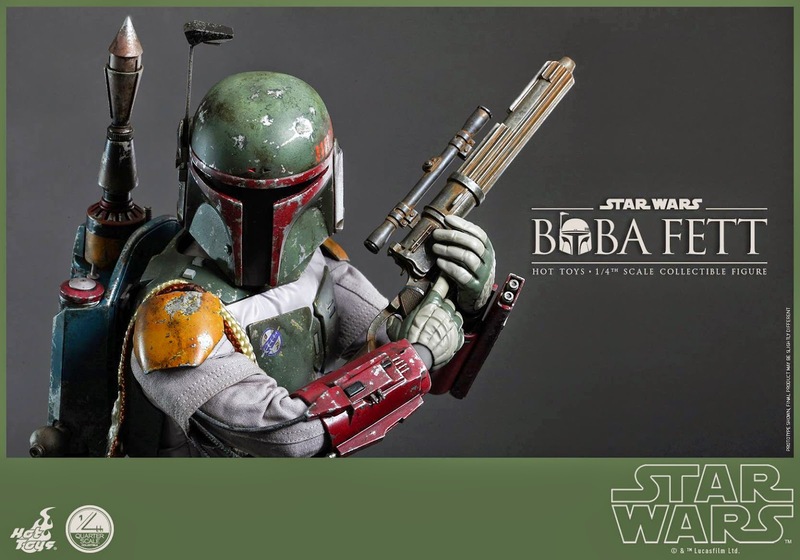 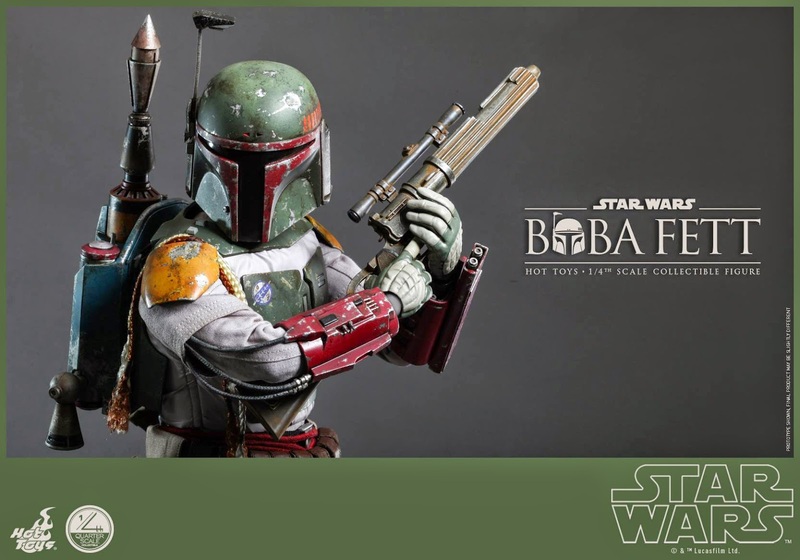 The "exclusive" version of Boba will include his plaster pistol and holster. 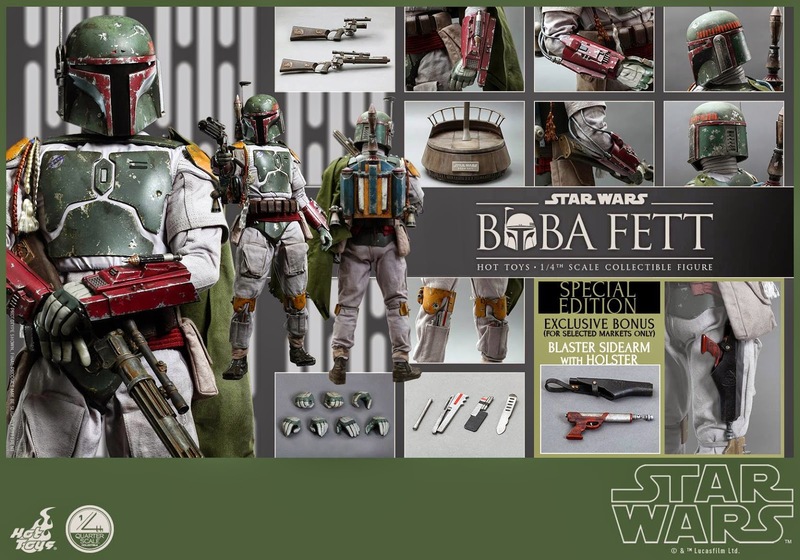 Well, I was close with my guesses, but thankfully I was a bit overzealous as the price will be less than I anticipated. 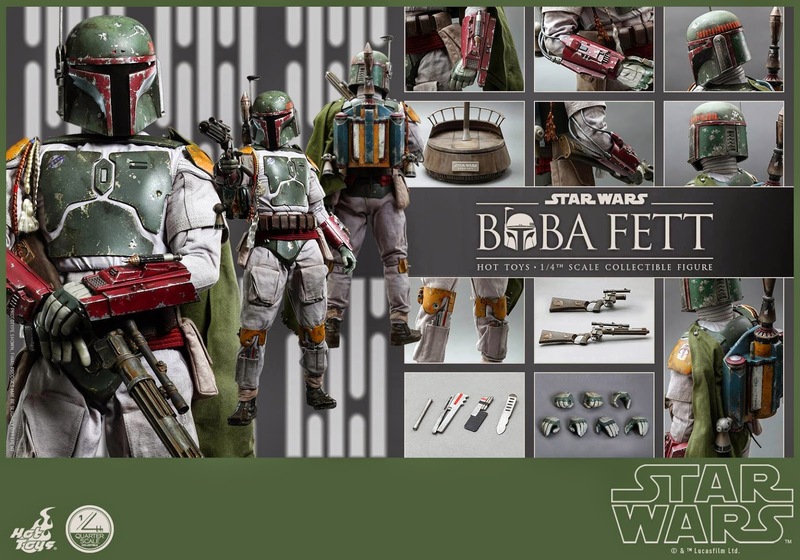 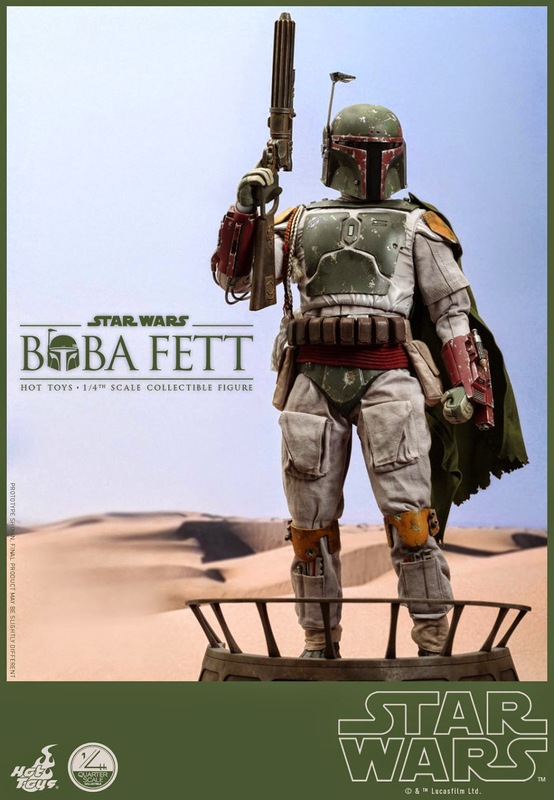 Fett is priced at 469.99 with a release date of November.